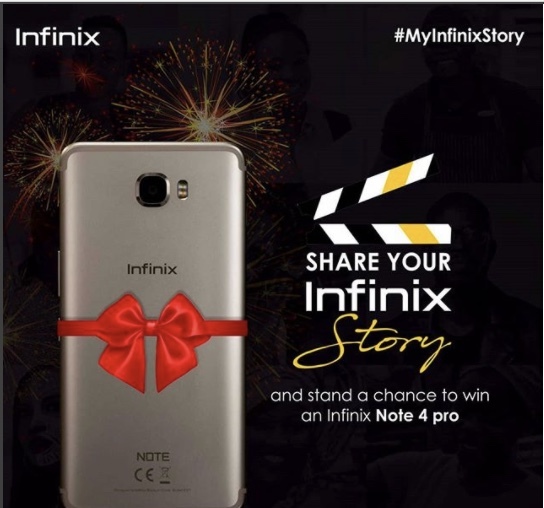 Do you have a story to share about your Infinix Device? Are you proud to tell the world your Infinix Story?. B. Tag us @InfinixNigeria and tag at least 5 friends. The winner would be announced on 2nd of February. Contest ends on 1st of February, 2018.